A Call to Resurgence by Mark Driscoll. Mark Driscoll is one of my favorite writers. I usually try and read his books when they come out so when I heard about this one awhile back I knew I needed to grab a copy. I’m very glad I did. 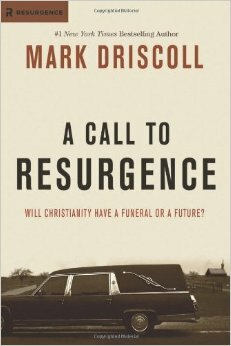 A Call to Resurgence is an interesting book in that Driscoll covers a lot of ground. Everything from surveying modern culture, tribalism, sexuality, the Holy Spirit, and more. Much of what Driscoll writes is nothing new. It’s stuff he has been saying via speaking and writing for years. However, the timing of this book is perfect. Our culture is rapidly changing and become more and more anti-Christian. With that wave coming and coming fast, we as Christians need not to run in fear, but hold tight to what we believe and move forward with the life-changing truth of the Gospel. That is what Driscoll calls for in this book. He reminds us of where we have been as a culture and where we are going, but more importantly reminds Christians what we believe and what God calls us to be and do. In Driscoll words the book is “for those ready to dig in and hang on…this book is an unflinching look at what we’re up against and what it will take to not just survive but to thrive and accomplish the mission God has given us to extend a hand of rescue to those drowning all around us. It is a call not of retreat but to resurgence” (page 29). The Judgment Seat of Christ by Samuel Hoyt. One of my favorite topics to study when it comes to eschatology (the study of end times) is the judgment seat of Christ. However, not many books have been written specifically on the judgment seat of Christ. Most of the time it is simply just given a section within a systematic theology book. Hoyt even points out that “the doctrine of the judgment seat of Christ often has been denied or relegated to minimal consideration under the subject of a general judgment” (page 13). He furthers explain this idea of a general judgment in chapter 2 of this book where he explains the proponents of this theory “believe that there will be one final judgement at the consummation of the world. At this time all people of all ages, both believers and unbelievers, will be simultaneously resurrected and judged. At this event the righteous will receive reward and the unrighteous will be condemned to eternal punishment” (page 17). However, the Bible speaks much about different future judgments and is clear that believers will one day stand at the judgment seat of Christ. Hoyt writes this book to support the judgment seat of Christ and give the reader a thorough understanding of what the Bible says about it. He does everything from explain the historical background of what was going on when Biblical writers like Paul mentioned the judgment seat of Christ. 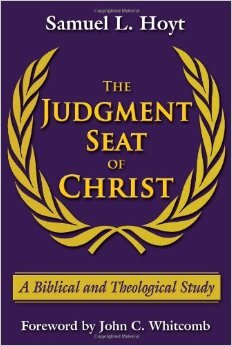 He also explains the nature, purpose, extent, and rewards of the judgment seat of Christ. The thesis that Hoyt sticks to throughout this book is “the judgment seat of Christ is a most solemn evaluation at which there will be no judicial condemnation, nor will there be any judicial punishment for the believer’s sins, whether confessed or unconfessed, but rather commendation according to the faithfulness of the Christian’s life” (page 15). Throughout this book Hoyt supports that thesis with solid Biblical research and exegesis. If you want to learn more about the judgment seat of Christ than I recommend this book. 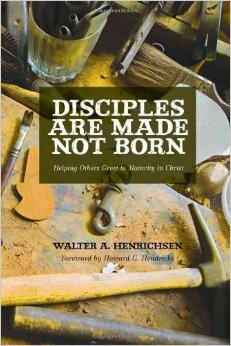 Disciples Are Made Not Born by Walter Henrichsen. This is a book that was originally published in 1974, but is still a very good read for Christians today. The whole idea of this book is discipleship. Henrichsen spends the first part of this book talking about what it means to be a disciple of Jesus. In the second part of the book Henrichsen talks about how Christians should share the Gospel and disciple others. He explains how Christians should practice evangelism and then help those they reach with the Gospel start to grow in their faith. Chapter by chapter, he goes through certain topics and things Christians needs to communicate to newer Christians in order to help them grow. This part of the book is extremely practical and contains a ton of great points on discipling new Christians. This is a short book that I recommend to anyone who is interested in becoming a more fully devoted follower of Jesus and want to help others follow Him as well. Up next on my reading list is Gospel by J.D. Greear and Paul, the Spirit, and the People of God by Gordon Fee. Surprise! Mark Driscoll does not write his books… look it up. I am very aware of the controversies surrounding Driscoll. Even though I know what is being said (and I am sure some of it is true and some of it is false) I still enjoy his books and benefit much from them.